To make it look less basket-ish, the handles can be removed, says listing agent Michael Guagenti of Cushman & Wakefield. “I’m sure a good architect could come up with some paint scheme to make it look not like a basket,” Guagenti told Bloomberg. Guagenti has explored marketing the property as a nursing home or call center. McDonald says she could envision the basket building being transformed into a hotel with, perhaps, top floor lofts. There’s also been talk of turning the basket into a convention center. However, a group of fans and Longaberger employees are trying to gain National Registry status for the building. Jim Klein, a former Longaberger Company president, started a Facebook page—Preserving the Longaberger “Big Basket” as a National Treasure—which now has 1,900 supporters. Klein says the Big Basket “represents the ‘Gateway to our great American Craft Tradition.’” He recently posted a letter he had written to the American Institute of Architects in Washington, DC, suggesting that the building become an architectural school or laboratory. Baker, for his part, is glad to be out of the basket building. The last of the Longaberger employees recently resettled in the company’s combined headquarters and manufacturing facility in nearby Frazeysburg. 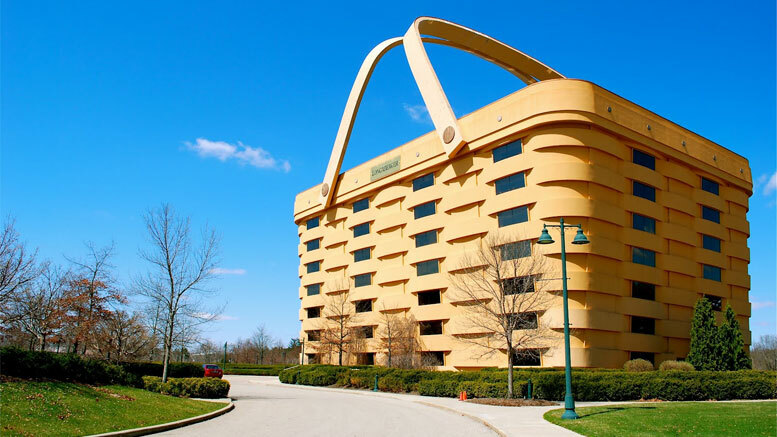 The post Ohio’s Giant Basket Building Headed to Foreclosure appeared first on Real Estate News and Advice – realtor.com. Be the first to comment on "Ohio’s Longaberger Giant Basket Building Headed to Foreclosure"